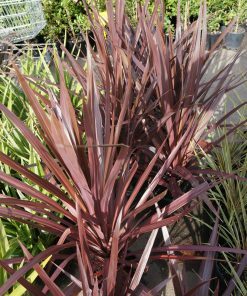 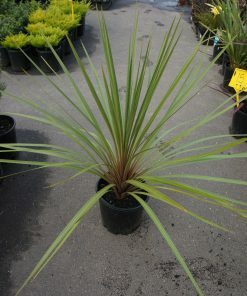 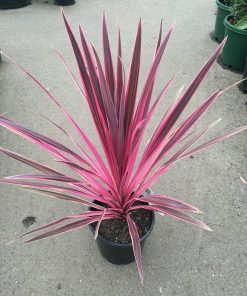 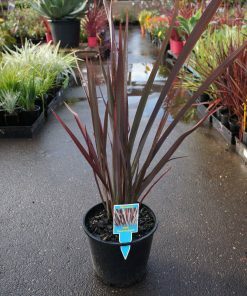 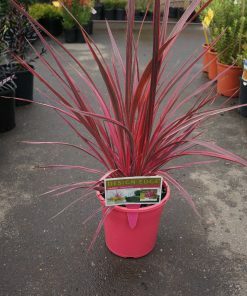 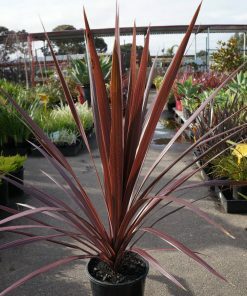 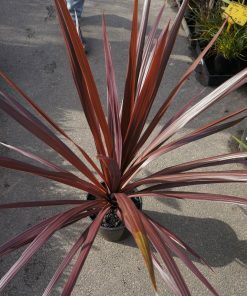 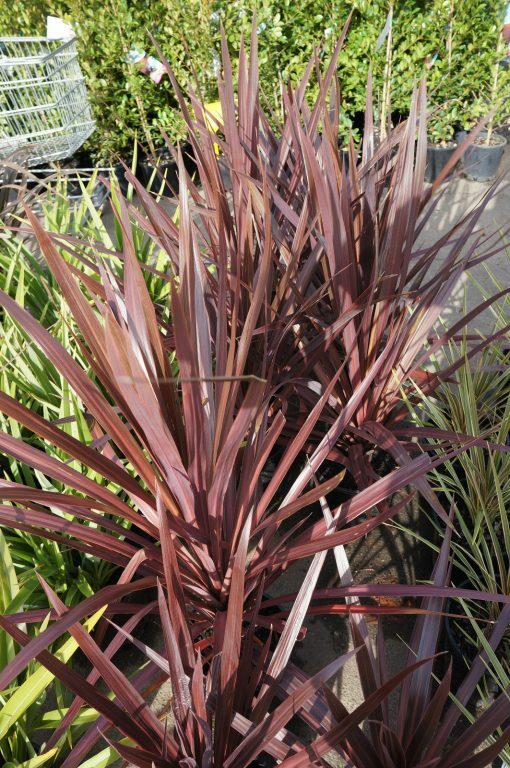 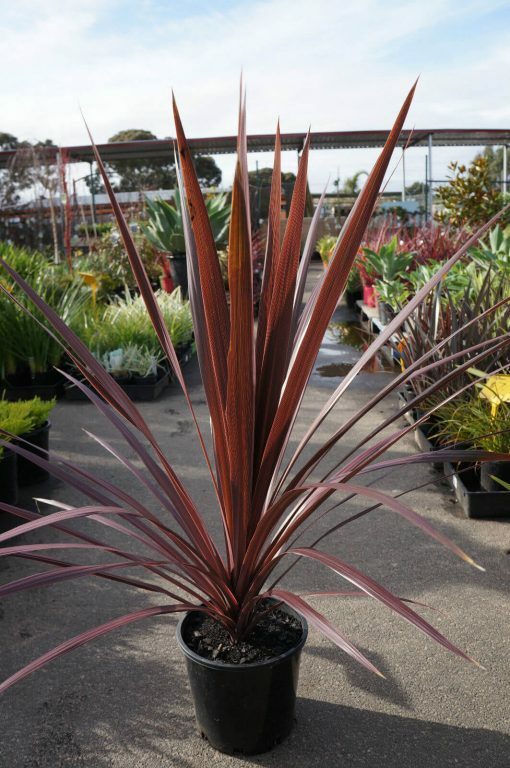 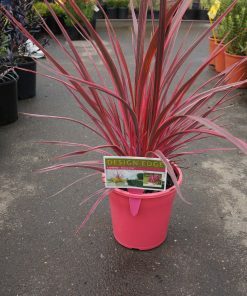 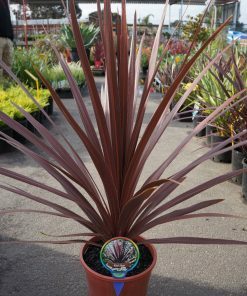 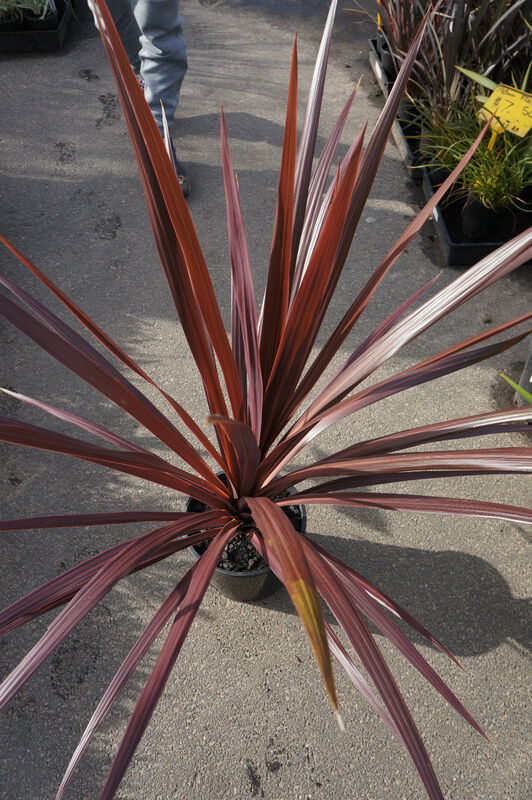 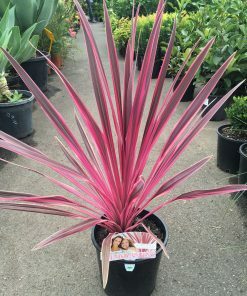 A stunning cordyline. 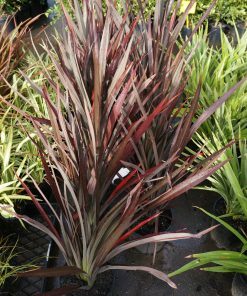 This architectural plant has glossy, deep burgundy, long narrow leaves. 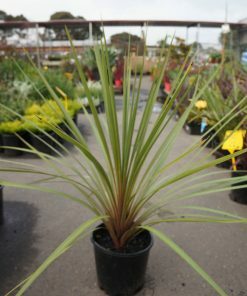 it has a upright growing and provides a strong focus in the garden.